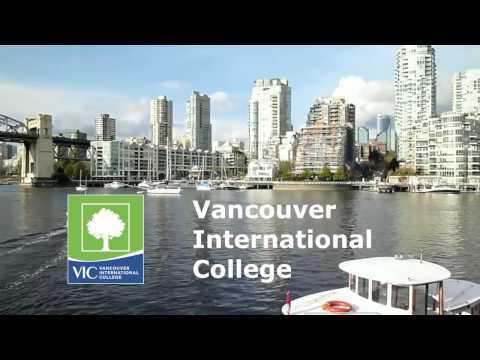 Vancouver International College (“VIC”) is an international college dedicated to providing students with the best English language learning environment. VIC offers courses with special English language concentrations such as Business English, Medical English and IELTS test preparation. Since inception over 16 years ago, VIC has enjoyed an excellent reputation in the English language training industry and has educated over 20,000 students. VIC is particularly known for our Speaking Clinic and Real Canadian Pronunciation classes. Students are invited to learn in student-centred classrooms where they are guaranteed lots of one-on-one feedback and error correction from their TESL Canada Certified instructors. VIC also offers one of the only English for Children & Families programs in the downtown Vancouver core, where families with children and teens can study together and experience Vancouver together. With VIC's College Preparation program, students will develop academic language skills to a university level in an open-ended class. Students advance their reading skills using a variety of literary styles and materials, and practice listening to academic lectures. They also study key styles of academic writing, and learn how to organize and express ideas verbally through seminar discussions and major presentations.